Do you have a dinosaur-lover in your classroom? 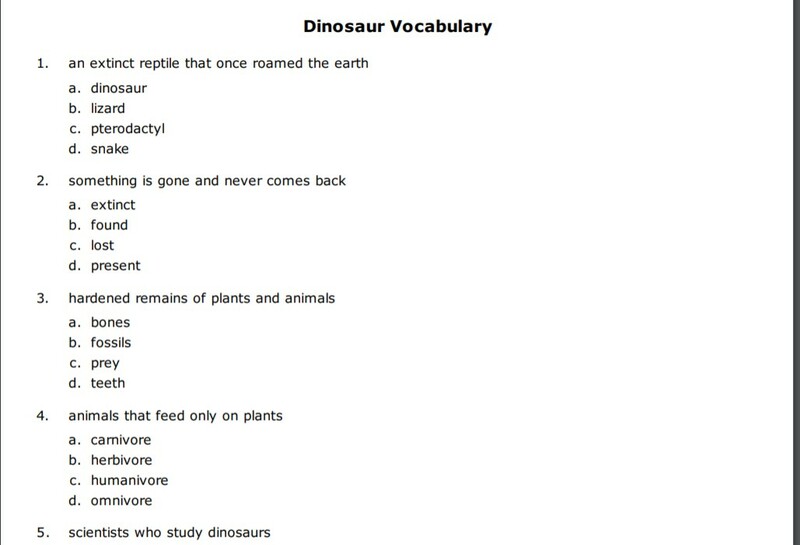 Bring some dinosaur vocabulary words into the mix. 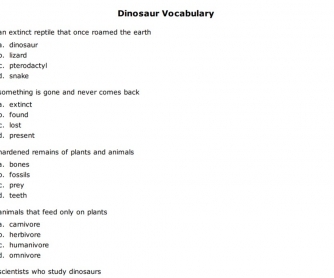 This worksheet features multiple choice questions that use common words related to dinosaurs. Great for elementary learners. Find more vocabulary worksheets at HelpTeaching.com.